Now that’s a legitimate question for someone who has trouble putting a grocery list together or who has never written anything beyond a thank you note or letter. But my response generally doesn’t satisfy people. They still can’t wrap their head around the concept of someone pounding out six books per year—over 300,000 words every twelve months. Plus another 80,000 words for a blog. Not to mention all of the promotion material an author produces…So we’re probably talking more like 500,000 words per year or more than ten million words over the five years I’ve been writing the Klepto Cat Mysteries. Yeah, that’s pretty much a foreign concept for most. So what do I say to people who ask how I come up with so many different stories and scenarios for books featuring cats? It’s a puzzle to me. Just like the posts for this blog, which now has 500 posts, the ideas just come to me. I sit down to write a post or a story having no clue as to what I’ll write, and soon I’m deeply involved in a theme or a story or a mystery. Lately, I’ve had the same question from people who have not read my Klepto Cat Mysteries. And I discovered they were asking this from a totally different perspective. 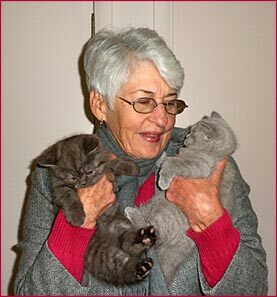 These folks thought my books were cat-driven—that the cats talked and thought and that they propelled the story. No wonder they were confused. How would you write an entire novel for adults—let alone 21 novels—completely based on a cast of cats? Actually, my stories are not cat-driven, they are human-driven. 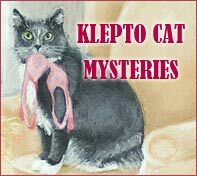 There are a variety of interesting human characters in the Klepto Cat Mysteries—the mainstay characters (a married couple of veterinarians, a sometimes cantankerous aunt, interesting friends and family, and, of course, a no-nonsense, softie of a detective—among other characters who pop in and out now and then). The starring cat is Rags, a klepto who loves to be involved in whatever’s going on and often throws a wrench in the works. The detective has learned to rely on Rags’s instincts and sometimes calls on him to help with a case. Since Rags is a cat, Detective Craig Sledge has to rely on feline behavior—a bit elevated at times—but feline behavior, none-the-less. So, while Rags and his feline, canine, and even equine friends play important roles in the Klepto Cat Mysteries, the stories are told from the human characters’ point of view. 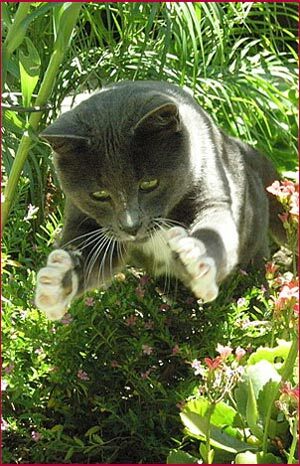 There are no talking cats and no cats with their own point of view—except that which is implied through their actions. So how do I come up with fresh material for so many stories? If I figure that out, I may bottle it. I suppose it has to do with my training as a freelance article writer. In order to come up with article ideas, you really must pay attention to what’s going on around you—to see a story in every encounter and experience. I’ve lived long enough to have had a lot of experiences and I’ve observed, read, been entertained by countless scenarios of all kinds. So I imagine these are all inside me somewhere. Is that where imagination comes from? It feels as though my thoughts that end up as part of my stories is truth mixed with imagination. Those who write fantasy probably dig deeper inside their imagination to flesh out their stories. I believe that my stories reflect the fact that I’m fairly center-brained, as opposed to operating from the right brain or the left brain. So you’ll see a lot of truth in my stories. I’m also a teacher at heart and I can’t seem to help sprinkling my stories with the positive values I cherish. I’m often commended for that. And I’ve always had a fascination and admiration for cats. I adore writing about them, and helping others to understand and appreciate them. So how do I come up with so many stories? It’s still a bit of a mystery to me. But I plan to keep priming the creative pump and let the creative juices flow as long as it is in me to write these entertaining stories.